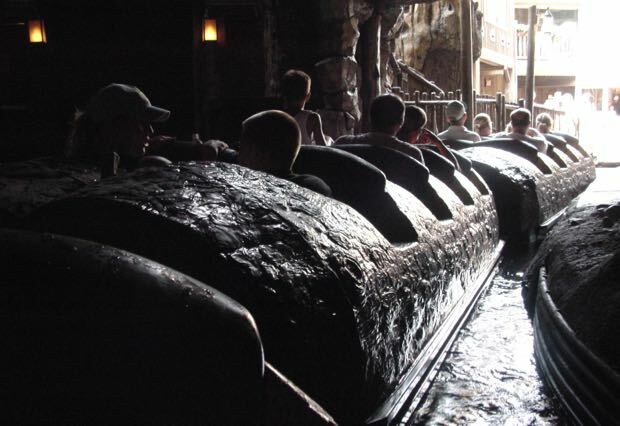 One of the Magic Kingdom's most popular attractions is Splash Mountain. 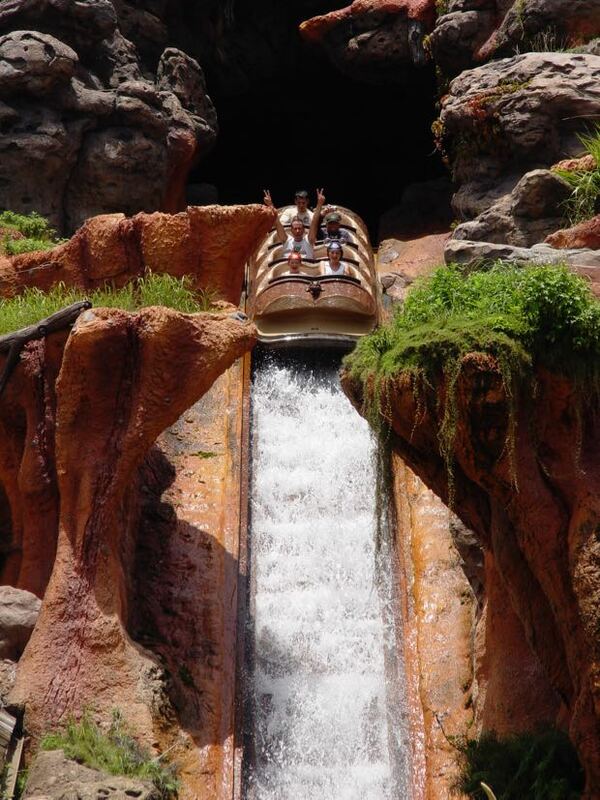 Based on the 1946 animated film, Song of the South, this log flume ride features the antics of Brer Fox and Brer Bear's attempts to catch the wily Brer Rabbit as he looks for his laughing place. 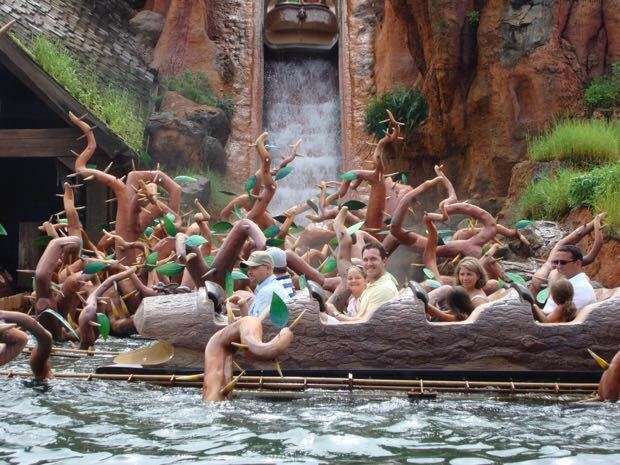 This is a water ride, so there is a very good chance that you'll get wet - be prepared. While it may be refreshing on hot days, damp clothes can get a little chilly on cooler evenings. If you don’t want to get wet we recommend a rain coat, because this is a must-do attraction. Complimentary plastic Ziploc bags are available for guests to pick up prior to boarding this attraction to keep their cell phone and other small items dry while they ride. 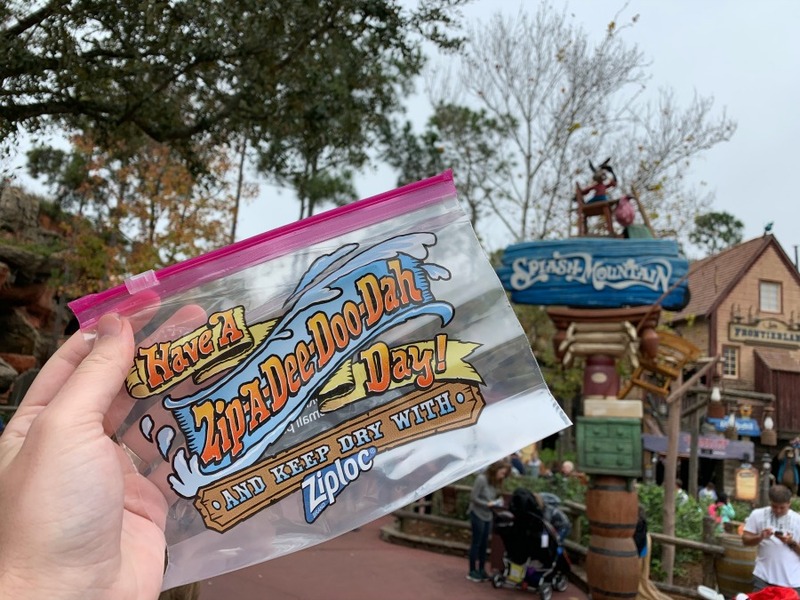 Guests can keep the Ziploc bags for future use, or place them in recycling bins at the exit of the attraction or other recycling location. Your log winds its way through caves, swamps and bayous, and down three minor drops before climaxing with the 52-foot Chick-A-Pin Hill plunge through the briar patch after Brer Rabbit outfoxes Brer Fox. A camera captures the look of fearful delight on your faces as you enter the final plunge. These pictures are displayed at the end of the ride and are available for purchase. 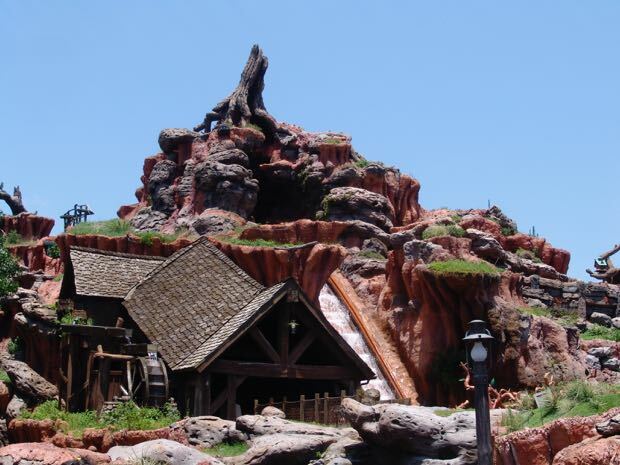 Splash Mountain features several iconic songs like “Zip-a-Dee-Doo-Dah,” “Ev’rybody’s Got a Laughing Place,” and “How Do You Do?” All of which are catchy tunes that will likely get stuck in your head for the rest of your vacation. Entertaining you along the way are over 100 audio-animatronic figures, which may look familiar if you had the opportunity to watch America Sings, the Disneyland show that existed between 1974 to 1988. That’s right, many of the audio-animatronics on Disneyland’s version of Splash Mountain are recycled from America Sings, and to match its Disneyland counterpart the Splash Mountain at Walt Disney World uses those same characters to keep consistency between the two rides. On busy days long winding queues are opened, beginning outside in partial shade and leading into the cool cavern where your journey begins. While the ride is fun for guests of all ages, a height restriction of 40" is in effect. Parents may use the "Rider Switch" option. Handicapped Accessibility: Guests in wheelchairs must be able to transfer to the log boats in order to ride this attraction.